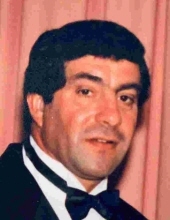 Francis E. “Franny” Celidonio, of Brockton passed away suddenly on February 4th, 2019, at the age of 71. Franny was retired from the Brockton Fire Dept., Alarm Division and a U.S. Army Veteran. He was a long-time member of the Holbrook Sportsman’s Club and an avid outdoorsman, auto enthusiast and a jack of all trades. Born in Brockton he was the son of the late Frank & Elvira (Gonsalves) Celidonio. He is survived by his two sons, Eric Celidonio and his wife Meka of Hingham and Marc Celidonio and his wife Susan Dos Reis of Brockton, a sister, Terry Price of Attleboro and a cousin, Patty Jones of Canton. He also leaves behind his grandchildren, Courtney and Nicholas Celidonio of Brockton, Ana and Trey Celidonio of Hingham and Dyllan and Collin DosReis of Brockton. A Memorial Gathering will be held on Sunday, February 17th at the Russell & Pica Funeral Home, 165 Belmont St., Brockton from 2:00PM – 4:00PM followed by a Life Celebration at the Brockton VFW, 283 North Quincy St., Brockton. Burial is private. Donations may be made to a charity of your choice. "Email Address" would like to share the life celebration of Francis E. Celidonio. Click on the "link" to go to share a favorite memory or leave a condolence message for the family.